A fake Twitter account of actor Yogi Babu has been posting few derogatory posts about the veteran politician and former Chief Minister of Tamil Nadu, Karunanidhi. Yogi Babu who got to know about the derogatory posts made by these fake accounts has now given a video clarification regarding this issue. 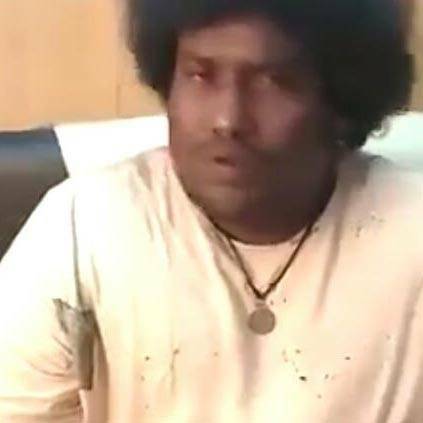 In his statement, Yogi Babu has mentioned that he doesn't favour any political party and has no connection whatsoever to the disparaging post made in some parody accounts. The actor has also requested people to avoid fake Ids and stop misusing his name. Please Avoid The Fake Ids Who Are Misusing It In My Name 🙏🏻 This Is The Only Twitter Id I Am Using ! People looking for online information on Karunanidhi, Yogi Babu will find this news story useful.